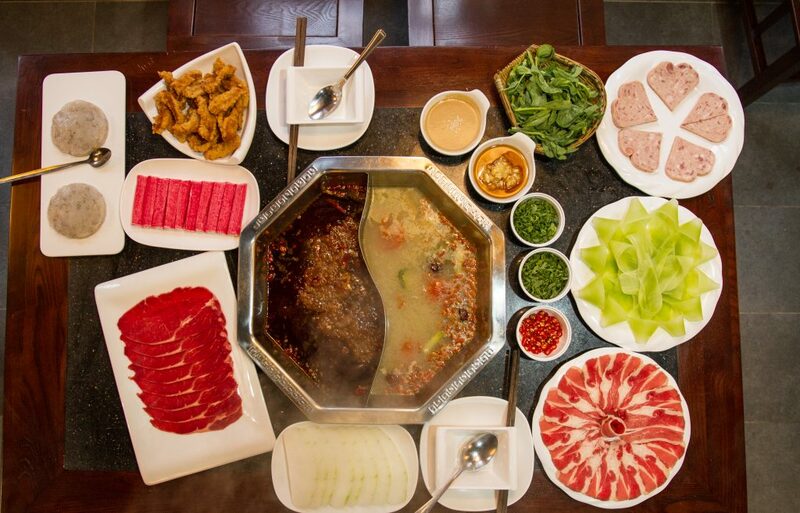 The two-floor Shu Xiangge on Gerrard Street is a veritable hot pot haven. 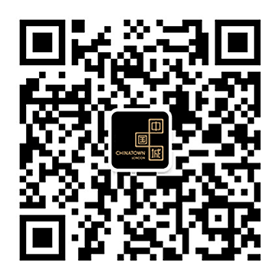 Specialising in the iconic communal Mongol-Chinese dish – a bubbling broth in which you cook your ingredients – Shu Xiangge is all about tradition. 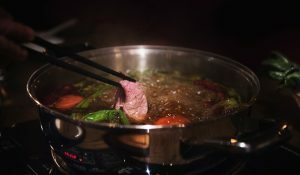 Making their soup the authentic way using seasonings and utensils imported from the Sichuan province, Shu Xiangge’s founder, Terry Zho, spent a year visiting China on research trips to perfect their mouth-watering recipes and source ingredients. 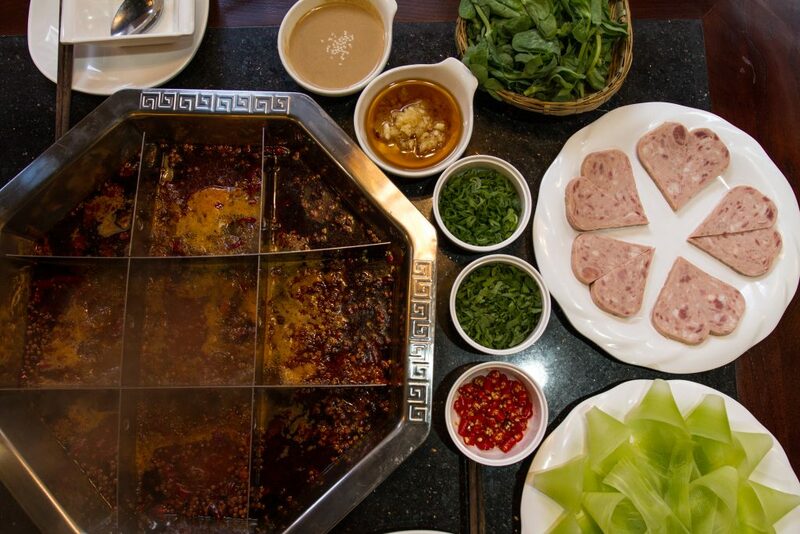 Being Sichuanese, expect mouth-numbingly spicy meat and vegetable broths as well as gentler ones for more sensitive palettes. 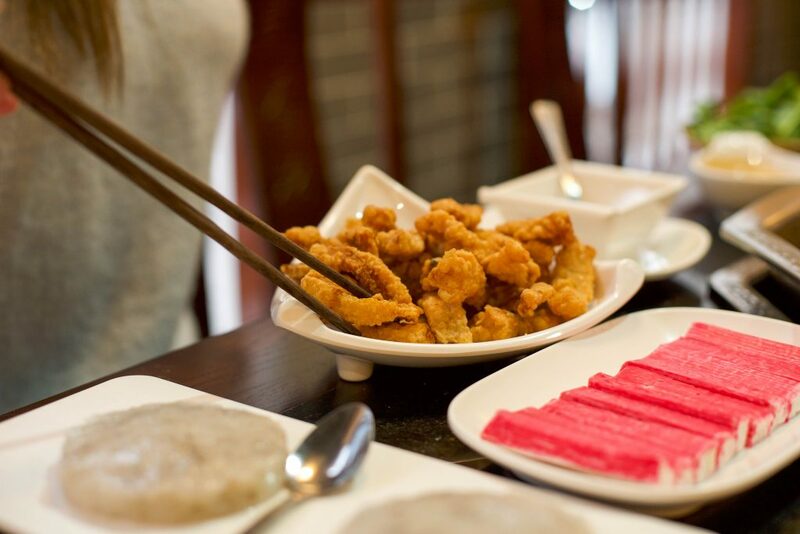 You can choose from a wide array of dipping ingredients including finely sliced beef, fish, tofu, mushroom and plenty more to choose from and cook yourself. 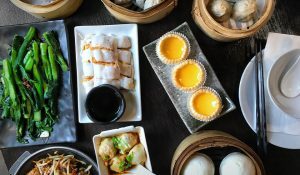 A sister site to their super-popular Holborn eatery, Shu Xiangge Chinatown looks as if it’s straight out of ancient China. 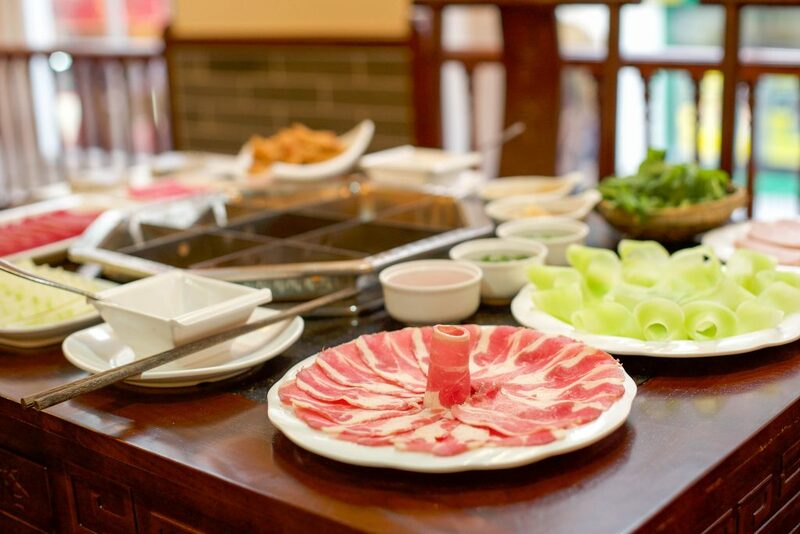 All pretty wooden vases, quaint crafts and classic ceramics, it’s a delightful spot to bring your friends or family where you can all dunk and devour together over a piping warm hot pot. Star of the show however, is Shu Xiangge’s exquisitely hand painted ‘Along the River During the Qingming Festival’ mural. You won’t fail to be wowed by its beauty.